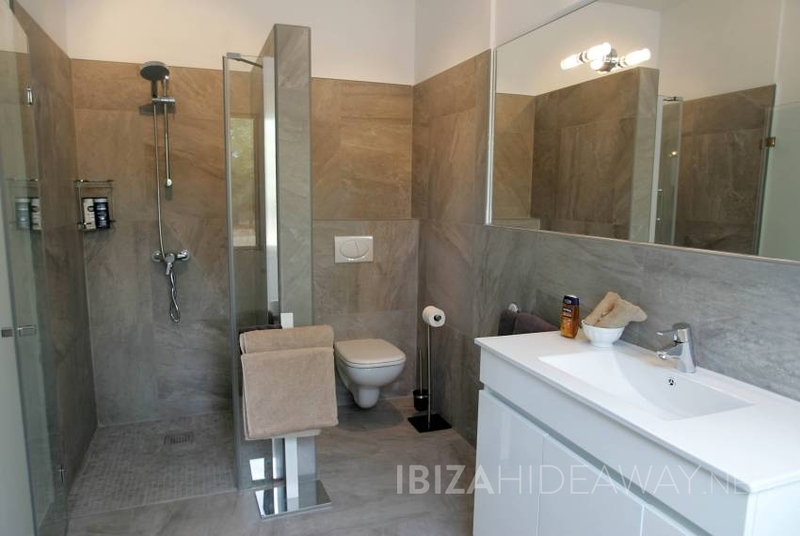 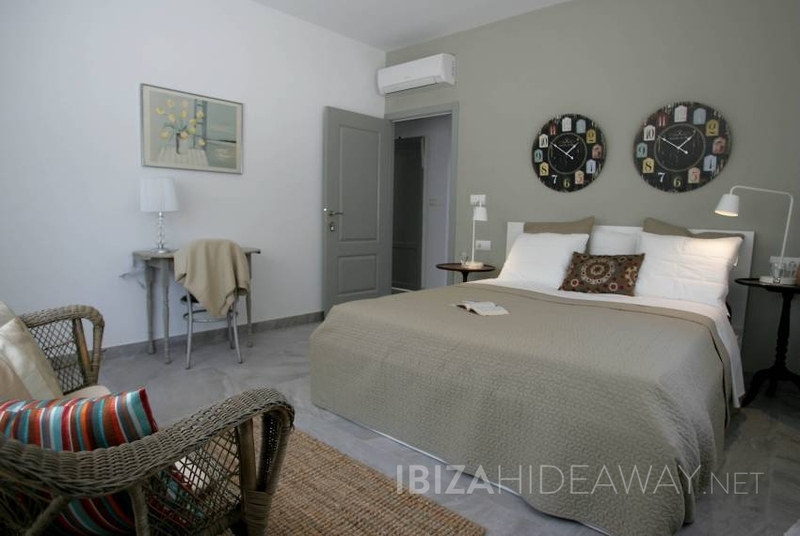 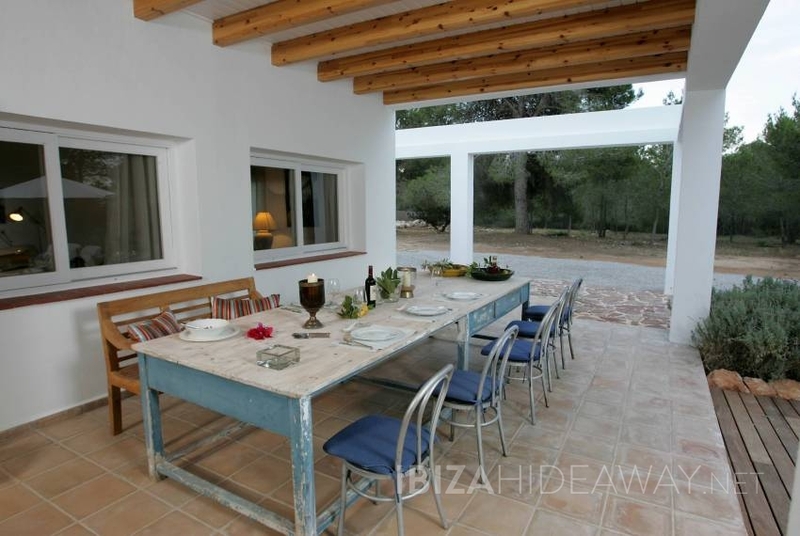 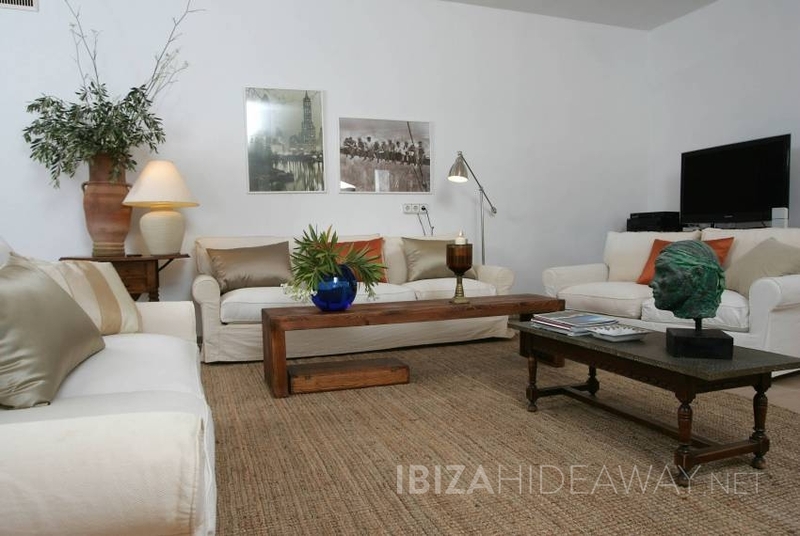 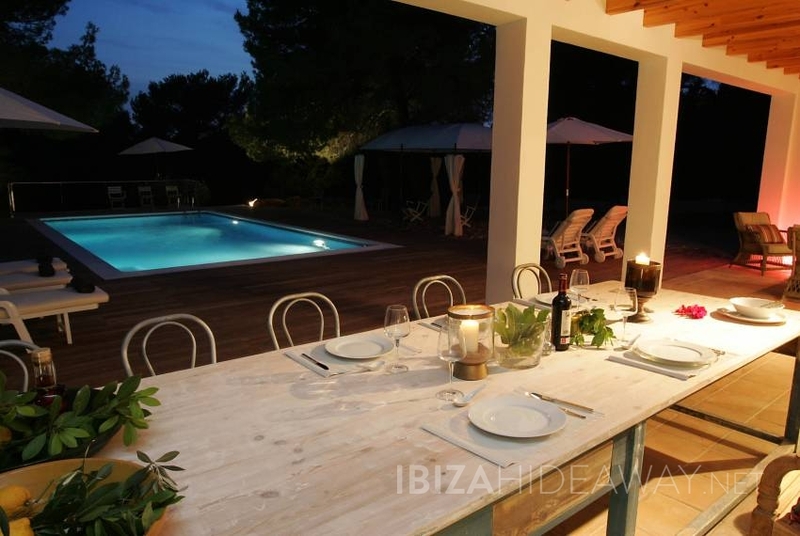 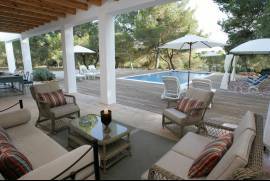 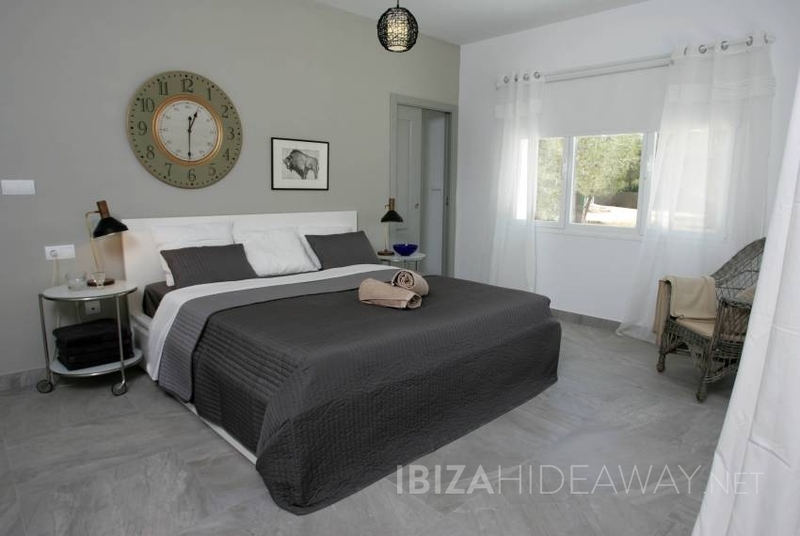 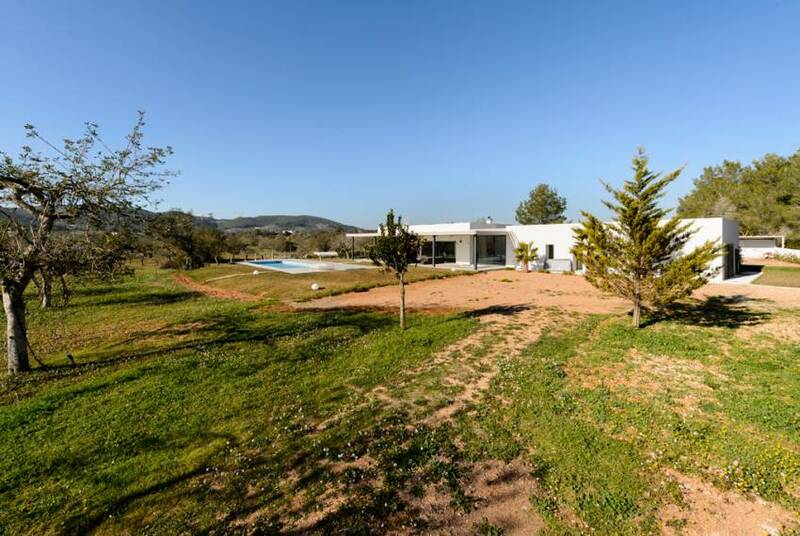 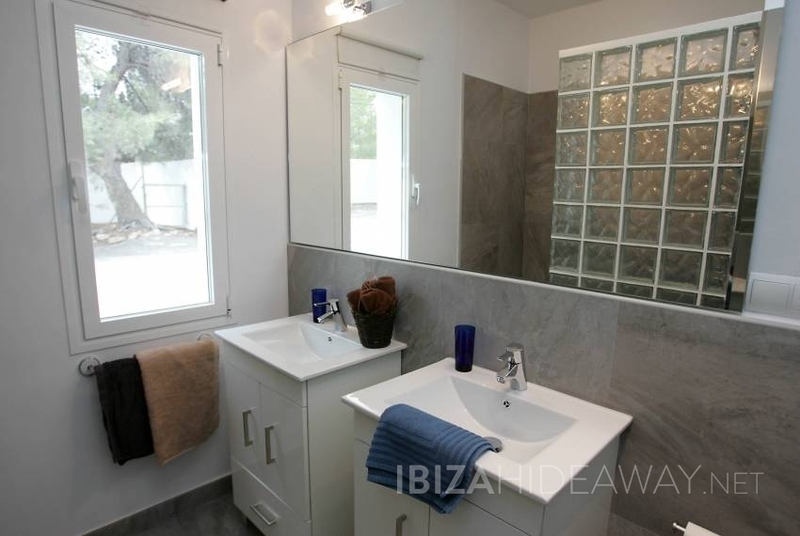 This great, modern and childfriendly high end villa is located on a quiet track, yet at walking distance to one of the most fab beaches on Ibiza, - Cala Jondal and its clubs like Tropicana and Blue Marlin. 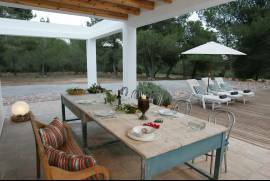 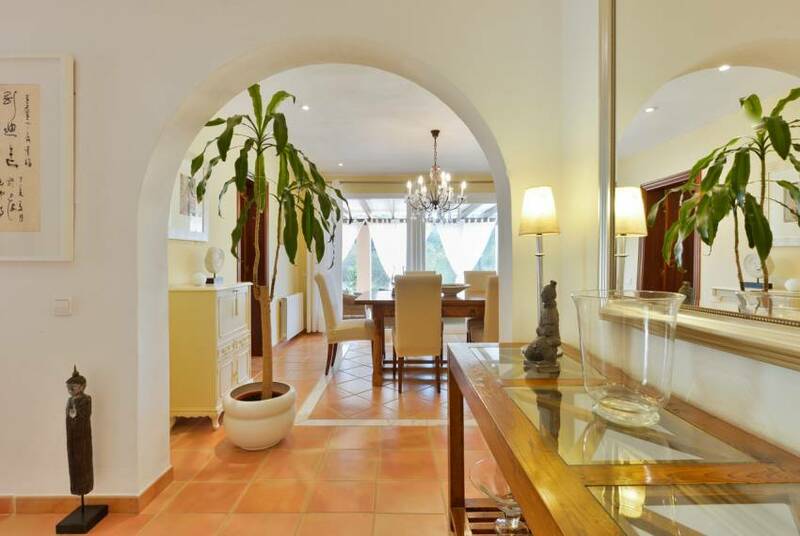 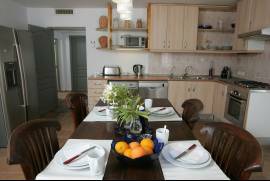 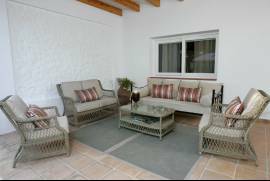 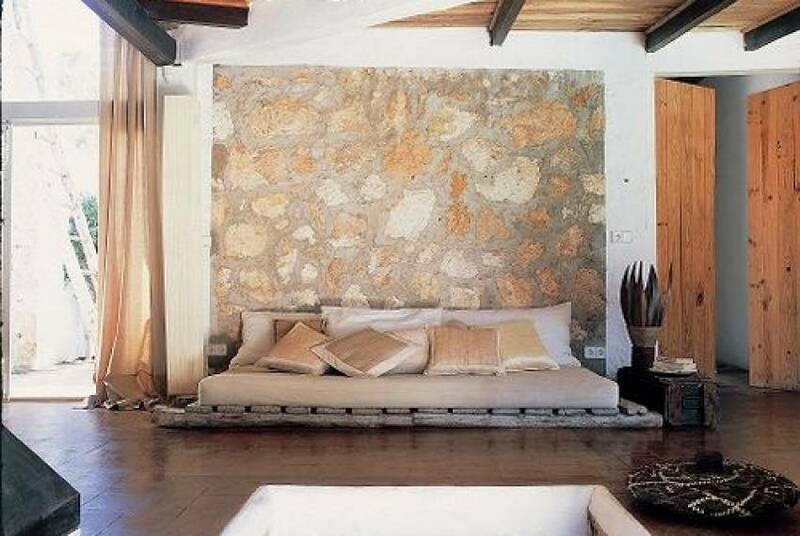 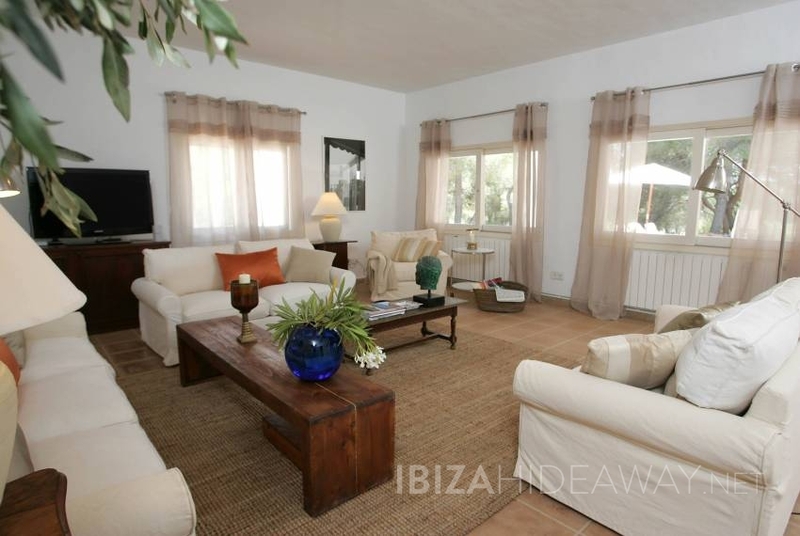 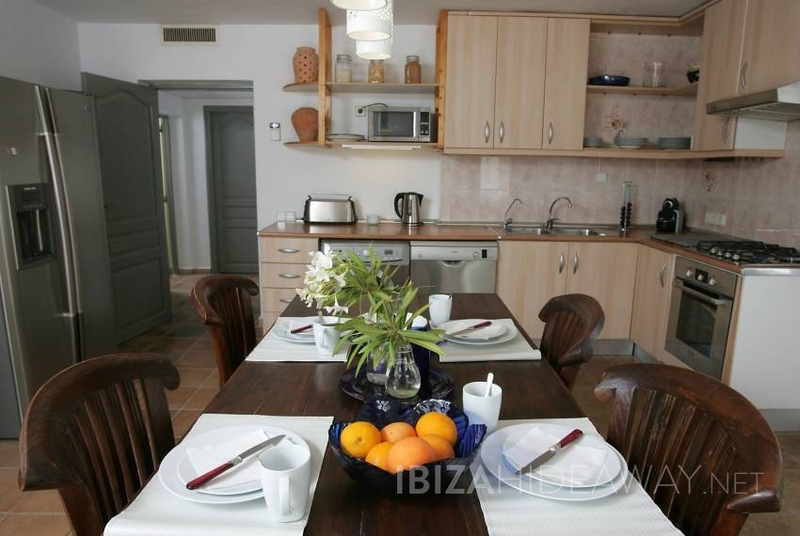 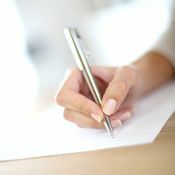 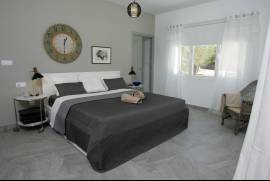 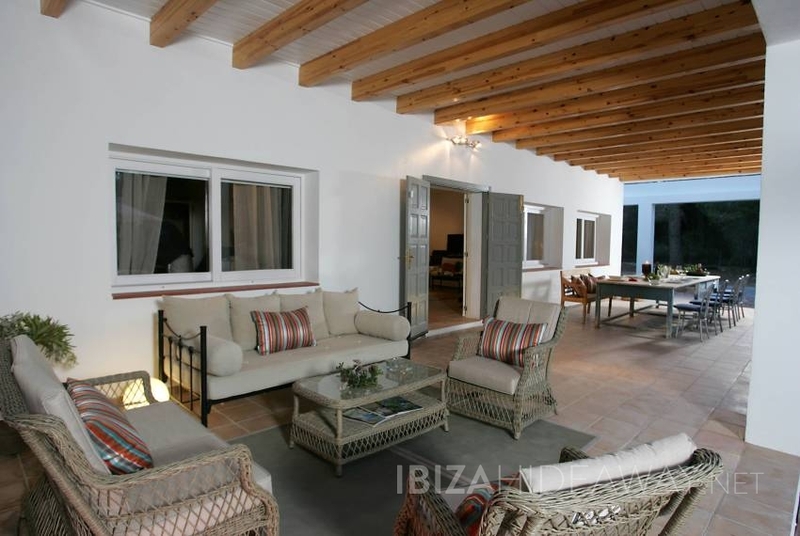 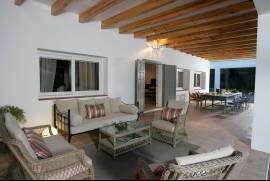 The villa is situated on 11.000 m2 ground and all its rooms distribute on one level. 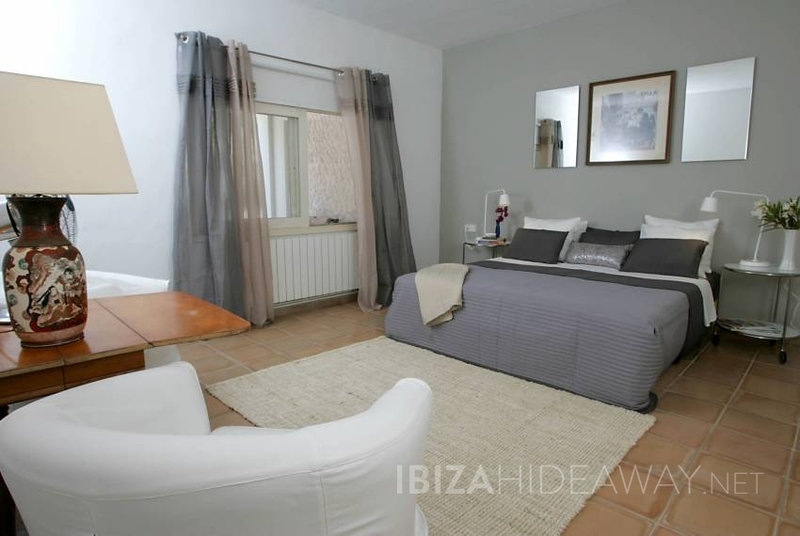 You have four double bedrooms, two of them suites and two sharing a bathroom, a spacious kitchen and open dining space as well as a large living area unfolding onto the pool terrace. 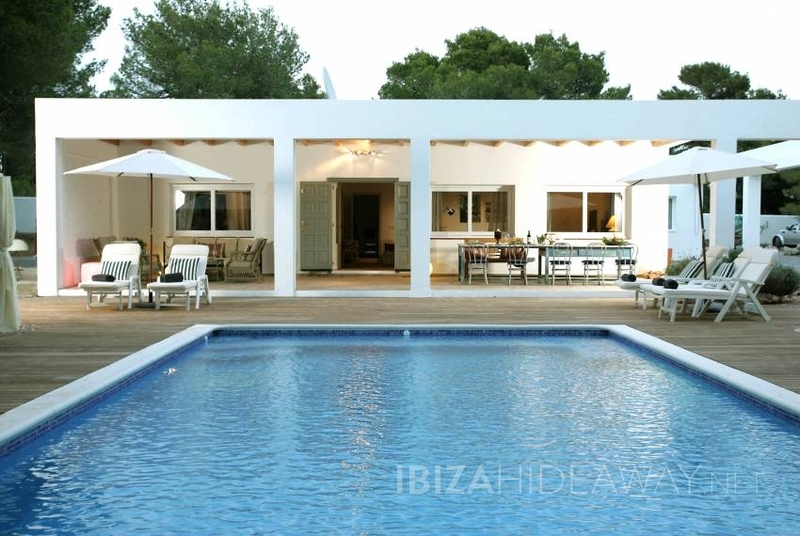 The 12 x 5 m pool is surrounded by a wooden deck, and below the house there is a shady grass area, which is ideal for kids to run around and play.